The VIPer11 off-line converter with embedded 800V avalanche-rugged MOSFET from STMicroelectronics enables equipment makers to design tougher auxiliary power supplies and power adapters. Its 26Vdc drain-start voltage allows an ultra-wide line input voltage range and it enhances flexibility in numerous consumer and industrial applications. The logic-level primary MOSFET enables the VIPer11 to operate with a wide supply voltage range, from 4.5V up to 30V, allowing the design of highly efficient 5V output SMPS. 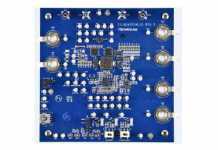 This advantage in combination with features like an integrated high-voltage startup, an error amplifier, and a jittered oscillator that reduces EMI, simplify design and save space and BoM costs. 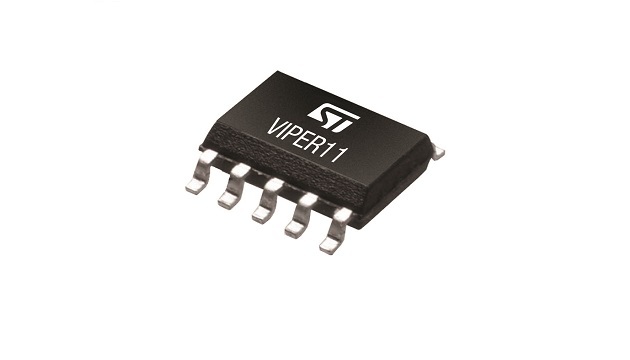 VIPer11 high-voltage converters enable flyback, boost, or buck/boost power supplies powered directly from the rectified AC line or other DC sources to generate the desired output voltage using a simple voltage divider. High efficiency is assured across a wide load range, even at 5V output voltage thanks to the logic-level MOSFET feature, and industry-leading minimum consumption of 10mW enables extremely low standby power. Capable of supporting typical maximum rating of 12W in an open-frame SMPS, or 10W in an enclosed adapter, the VIPer11 addresses a wide variety of domestic appliances and consumer products, building-automation equipment, small industrial machinery, lighting, smart meters, and motion controls. Users also leverage support from development tools including evaluation kits, application notes, spice models and eDesign simulation tool that help evaluate the innovative VIPer11 features. In addition to the extensive integrated power-supply control functions, the HV converter contains comprehensive built-in protection features including overload/short-circuit protection (OLP), line or output over-voltage protection (OVP), maximum duty-cycle counter, and VCC clamping, all with automatic restart. There is also embedded thermal shutdown, built-in soft‑start and pulse-skip protection to avoid flux-runaway and enhance system reliability. The VIPer11 series contains the VIPer114 with drain-current limit (IDLIM) of 480mA, and the VIPer115 limited at 590mA, and a choice of 30kHz or 60kHz operating frequency. The devices are in mass production now, packaged as SSOP10 power devices, priced from $0.38 for orders of 1000 pieces. For further information please go to st.com.